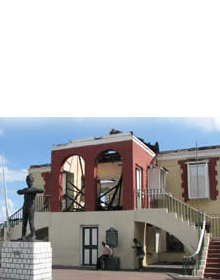 Stony Gut, a small village located in the parish of St. Thomas, is the birth place of Jamaica's National Hero, Paul Bogle. He was a deacon of the Baptist Church, located in the same village. 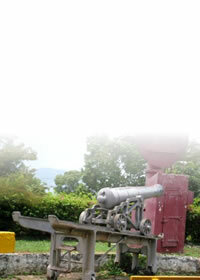 It was in this village that, what was to be later called the Morant Bay Rebellion, began. Paul Bogle, his brother Moses Bogle, and the people of Stony Gut walked to Spanish Town to air their grievances against the injustices and oppression faced in the Parish to Governor Edward Eyre. On their return a violent protest, initiated by Paul Bogle, broke out which led to the death of a few militia men and Paul Bogle's followers. 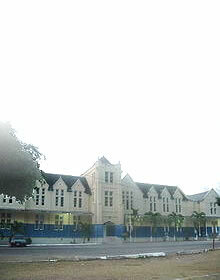 Many of were arrested and punished while Paul Bogle himself was hanged. The rebellion in the end brought about changes in the poor social and economic conditions of the peasants not only in St. Thomas but throughout the island. The rebellion was also the backdrop to the constitutional change which abolished the old representative system in favour of Crown Colony Government.